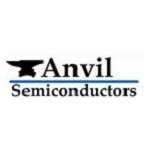 Anvil Semiconductors, set up in 2010, is developing the next generation of silicon carbide (SiC)-based semiconductors. These devices can be used to improve the efficiency of cars, renewable power generators and the national grid and could reduce significantly our overall energy consumption. Silicon carbide has long been recognised as a promising replacement for silicon, but its development has been inhibited due to the expense of producing SiC devices. The innovation being exploited by Anvil Semiconductors is to grow silicon carbide wafers on a silicon substrate, producing all the performance advantages of SiC but at a much lower cost. The technology is expected to pose a serious challenge to the semiconductor market, currently estimated to be worth £25 billion worldwide. Taking the first steps out of the laboratory towards the market place, however, can be fraught with practical difficulties. For Anvil Semiconductors, the expertise offered by Warwick Ventures business development managers was invaluable in navigating through those early obstacles. Warwick Ventures was instrumental in setting up Anvil Semiconductors, following discussions with Professor Phil Mawby, who initially developed the techniques in the University of Warwick’s School of Engineering. Warwick Ventures business development managers identified a clearly-defined commercial opportunity for the technology, which was developed into the new company’s business plan, and helped to secure early investment from Minerva Business Angels. Warwick Ventures also helped to write grant applications for the company, leading to a prestigious R&D grant from the Technology Strategy Board. Alongside this, the company has received substantial support from Birmingham Science City, the partnership set up to use and develop science and technology to improve prosperity across the region. Science City worked with Professor Mawby to set up a new state-of-the-art clean room based at the University of Warwick, and later funded a high temperature furnace, designed by Warwick engineer Professor Peter Ward, that can be used to produce the silicon carbide-based devices. In April 2013 Anvil was awarded £400,000 under the Government’s Energy Entrepreneurs Fund, aimed at supporting energy-efficient technologies, and in October the company closed a £1 million funding round led by The Low Carbon Innovation Group.